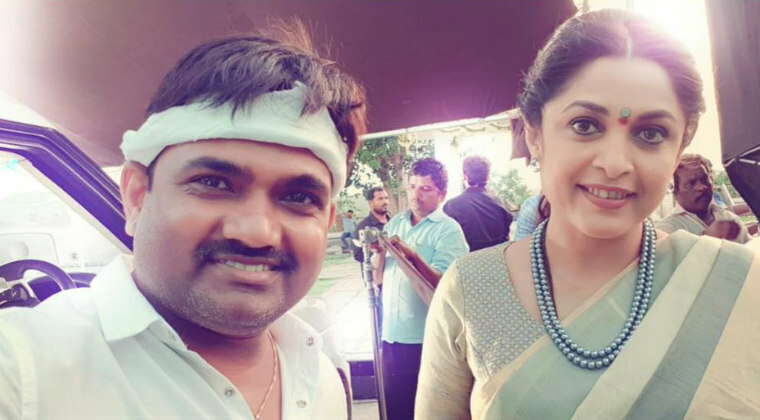 Actress Ramya Krishnan has wrapped up her portion of the shoot for the movie ‘Shailaja Reddy Alludu.’ Director Maruthi took it on his official Twitter handle and thanked her for being part of this film. He also shared picture of Ramya from the sets. ‘Shailaja Reddy Alludu’ has Naga Chaitanya and Anu Emmanuel in the lead roles. The first look of the film was recently unveiled and it garnered good response. Gopi Sunder is composing music for this flick and Sithara Entertainments banner is producing it. Previous articlePawan Kalyan’s heroine as Nadiya!